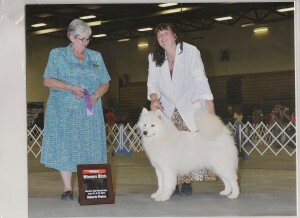 Mystic Ice and Northfork Samoyeds are pleased to announce the arrival of a litter from Am. Ch. Firecloud’s I’m Not Your Average Joe and Am. Ch. Mystic Ice Sweet Northern Spirit. Eight puppies, four girls and four boys arrived on April 9, 2015. 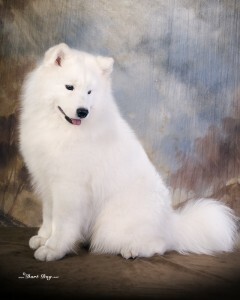 If you are interested in adding a Samoyed to your family contact us directly.